This is the first page in collection of pages about my 83 Subaru Sedan. This page describes the plan before I got it and I’ll show you a picture of when I got it. The idea was to use a EA81 style Coupe body and the 4WD gear from a Wagon. But when time came to buy this new Subaru it came clear that finding a Coupe in good condition for cheap wasn’t going to happen. 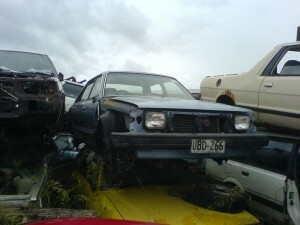 However I found a great little 2WD Sedan at a place in South Australia here called Subareck. 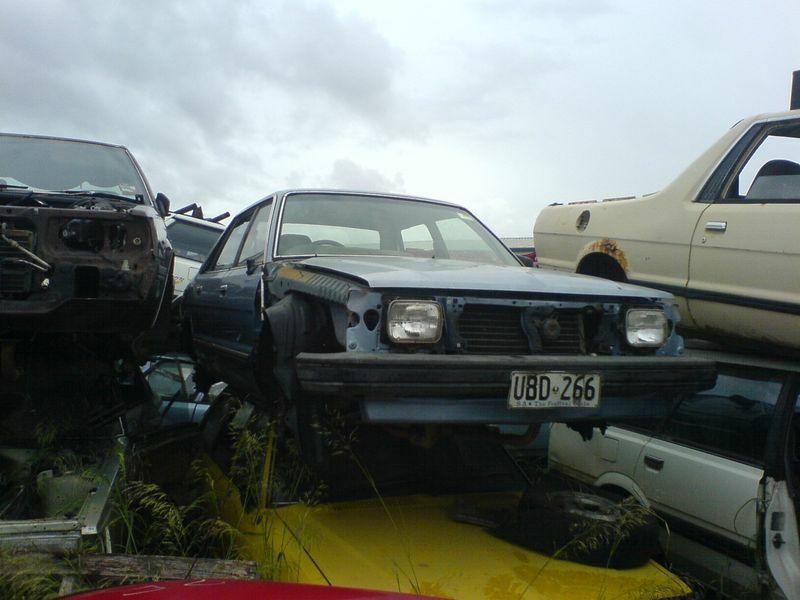 For $250(AUD) I got the body without engine or gearbox. I also grabbed a 4WD rear torsion bar while I was there. Use EA81 Dual Carburetor engine from my old Brumby. A EA82 5sp D/R from a mates car, using the diff and synchros from a jap import crash test S/R 5sp I bought a while ago. 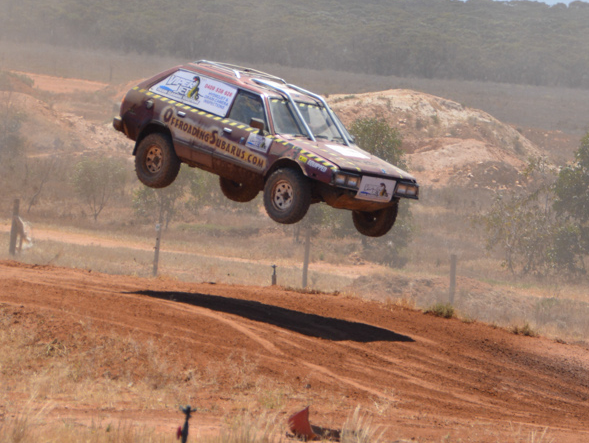 4WD Wagon Torsion bar and 4WD fuel tank to gain 4WD in the 2WD Sedan. 3.9 ratio welded rear diff from a previous project to match gearbox. Cut fenders to fit 27″ M/T tyres with no lift kit. Use longer radius rods to adjust castor angle and make fitting front tyres easier. Run my old EA81dc y-pipe into 2.5″ exhaust with 1 muffler at the back. Pioneer CD player and UHF radio. Rola Roof Racks from my old Subaru Liberty.